ABBEYFEALE ON LINE! 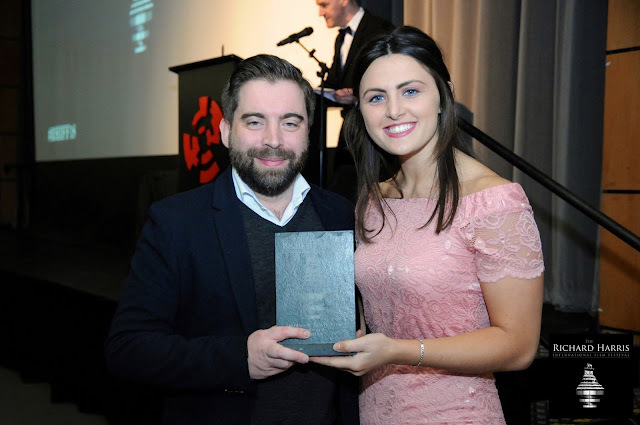 : ABBEYFEALE FILM AWARD WINNER! "Pen Pals" written and directed by local filmmaker, Ray Fennelly Jnr, won the Richard Harris International Film Festival Midwest Short Film Award in Limerick at the weekend. Ray wrote the original screen play while working in Shenzhen, Thailand and Hong Kong. He made a brief return visit to Ireland at the start of the year and assembled a first-rate cast and crew to shoot the film. American actress, Chelsea Debo and Limerick-born actor, Shane Whisker, played the lead roles, and they were ably supported by many fine local actors and technicians. 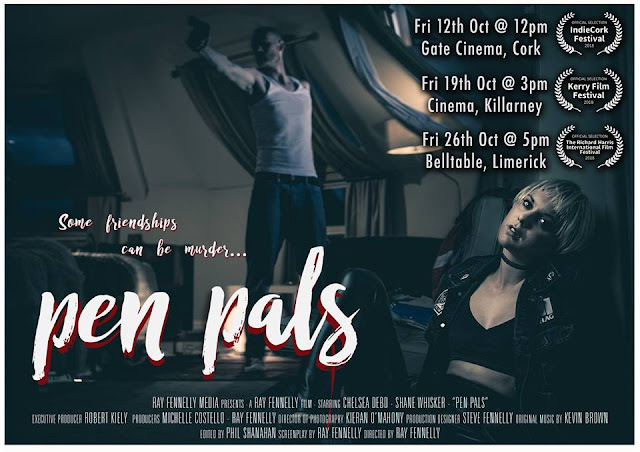 Pen Pals was filmed in various locations around Limerick and received great support from local communites. 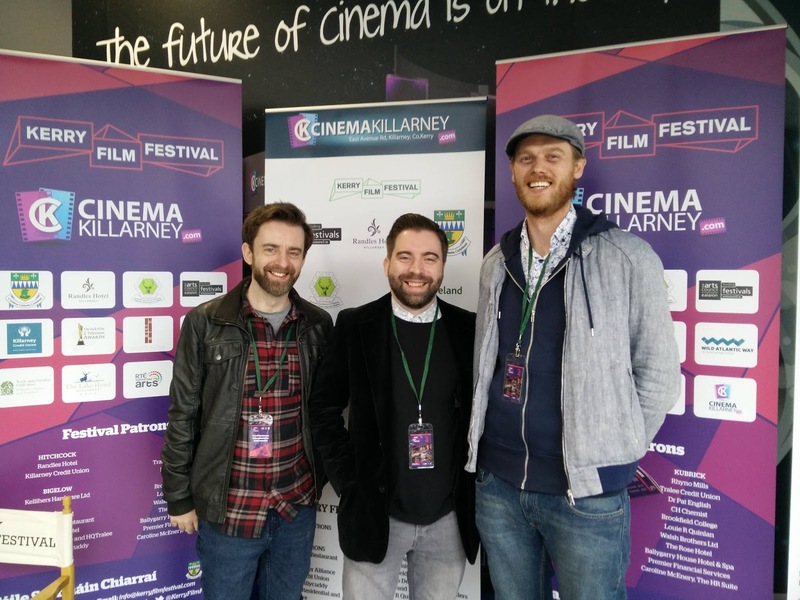 Production Designer, Steve Fennelly, Writer and Director, Ray Fennelly and Lead Actor, Shane Whisker. Ray Fennelly receiving his award from Irish Hockey International, Roisin Upton.